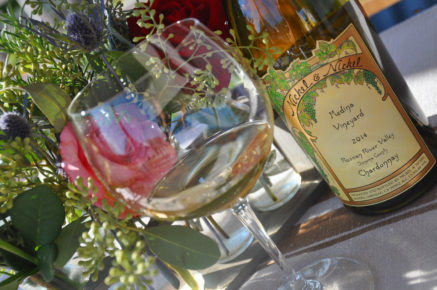 What’s so remarkable about the Nickel & Nickel Medina Vineyard Chardonnay, Russian River Valley? When we host tastings and winemaker dinners, we often hear this question asked about a specific single-vineyard Chardonnay or Cabernet Sauvignon in our portfolio. At Nickel & Nickel we passionately seek out extraordinary vineyards, vineyards that not only produce exceptional fruit, but are also uniquely expressive of their AVA. When we find those sites, we farm them with precision, giving each exactly what it needs to achieve the purest expression of its place. It’s a hands-on process, and the wines that result are truly one-of-a-kind. Each bottle of Nickel & Nickel Medina Vineyard Chardonnay comes from a cool, Pacific-influenced region of the the Russian River Valley called Green Valley. Although we devote ourselves exclusively to Napa Valley when it comes to Cabernet, we have found that certain small pockets of the Russian River Valley are ideal for growing Chardonnay with the tropical fruit-floral flavors, balanced acidity and minerality that we love to taste in this noble grape. Nestled between Sebastopol and Forestville, Green Valley has several distinct characteristics that differentiate the area from surrounding AVAs. Chief among them are climate and soil. Every morning, fog cycles in from the south, up through the Petaluma Gap and into Medina Vineyard. Fog is one of Green Valley’s most distinctive characteristics. Our Chardonnay vines at Medina Vineyard are some of the first in Sonoma County to experience the early morning fog and are typically among the last to burn-off. The cool mornings give way to plentiful sunshine. This unique blend of protective morning fog and afternoon sun allows our grapes to mature slowly and evenly. When we harvest each year, we know that our fruit will be fully ripe while retaining fresh, balanced acidity. The Medina Vineyard primarily consists of the region’s famous Goldridge soils. Once an ancient seabed, time-worn sandstone and maritime deposits broke down to form a rich sandy loam that is deep, soft, and well drained. These fractured sandstone soils are also low in fertility, which naturally reduces our grape yields. For us, this means that although our vines have to work a little harder to produce a smaller crop, the fruit quality is juicy, complex, and just plain exceptional! First planted in 1969, our Medina Vineyard produces Chardonnay fruit with remarkable balance. When you are sipping a glass of Nickel & Nickel’s Medina Vineyard Chardonnay you may taste the rhythmic fog, the Goldridge soil, the passion of our team and the golden California sunsets that the fruit in your bottle experienced before it splashed in your glass. Enjoy! 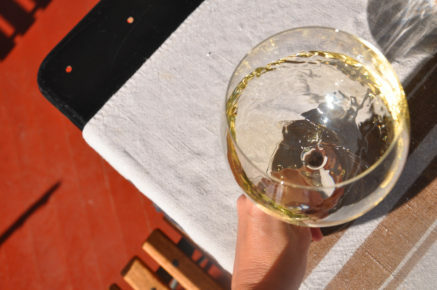 Labor Day Wine: Three Days, Three Wines, Three Ways to Fire up Your Weekend.